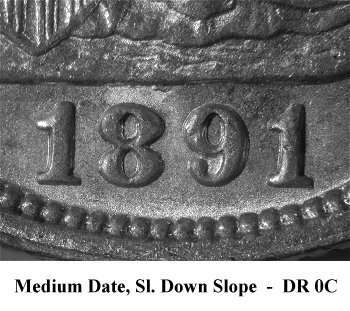 Comments: Obverse 9 exhibits a doubled die obverse that remains unique for 1891 coinage. 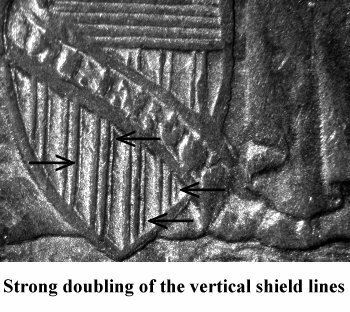 Doubling is readily visible to the right of the vertical shield lines below the scroll. The C in AMERICA is strongly doubled as illustrated above. 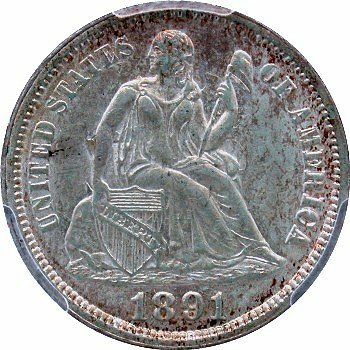 The three examples that I have owned also show bold die clash marks on both the obverse and reverse dies. 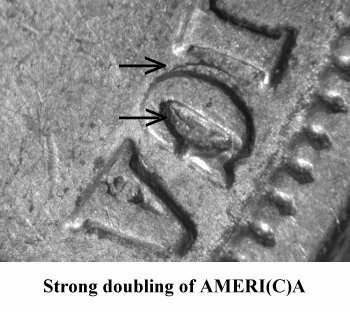 This double die variety was first identified by Chris Pilliod in 1990 and remains very scarce. The mint state plate coin was purchased on eBay during October 2006 in a third tier grading service holder. Surprisingly, the variety was properly identified on the holder. 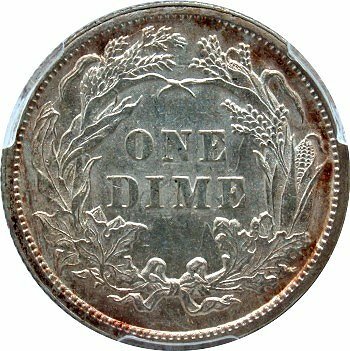 The 1891 Double Die Obverse variety is included in the Top 100 Varieties set.